Reserve Your Tickets April 2 to get the best seats! With our new ticketing system, you can now book tickets online and select your seats before you arrive. Reserve your seat today! Thursday, April 25 at 6PM. Get Your Seats! Get Your Buckets! 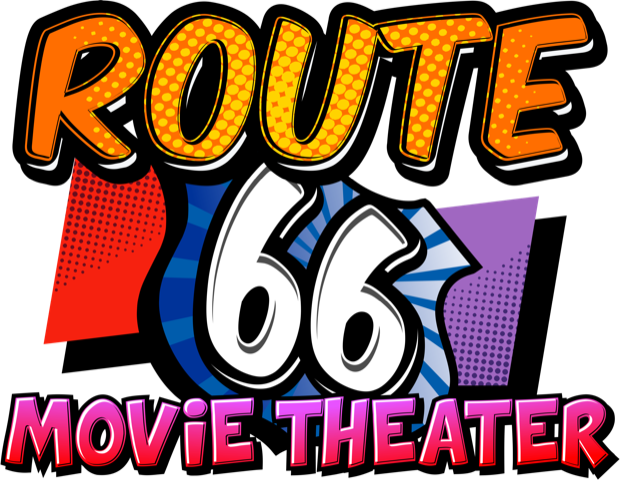 Route 66 Theater is a locally owned and operated theater with one goal in mind, to bring you the best in class entertainment without breaking the bank. With comfortable seating, fresh popcorn, candy, soda and adult beverages, you are sure to have a great time. Our facility may take you back to the past, but our technology is state of the art. With dolby digital 5.1 surround sound and digital projection, this is the movie experience you can only find in the theater. So come on out and let us take you back to the movies! For your special occasions let us host your next event. Contact us for details and make your next big event one to remember. Text the word MOVIES to 33222 to receive the latest updates!